If you are reading this because you are pregnant, congratulations!! I would also recommend reading this, along with my first trimester post, if you know or are caring for someone that is pregnant with food allergies. I am writing this at the end of my 34th week of pregnancy, and am excited to share this time with you! I so clearly remember talking to the different nurses at my doctor’s office during my first trimester, and their promises that the second trimester would be better. I did not believe them. How could I feel so sick, and then just magically wake up one morning and that would be gone? They all said I would, and guess what, I did! One morning I woke up and didn’t feel that permanent seasick feeling. The smell of Nolan’s breakfast didn’t make me want to run for the toilet. 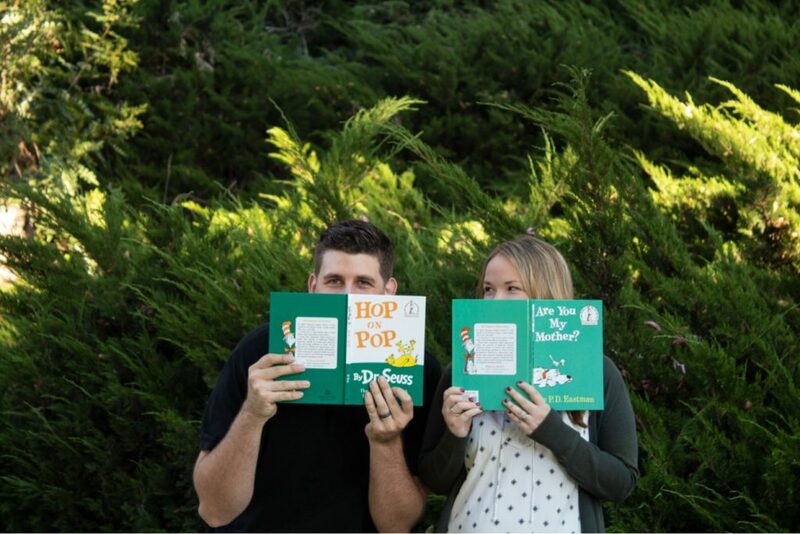 They were right – the second trimester was wonderful! 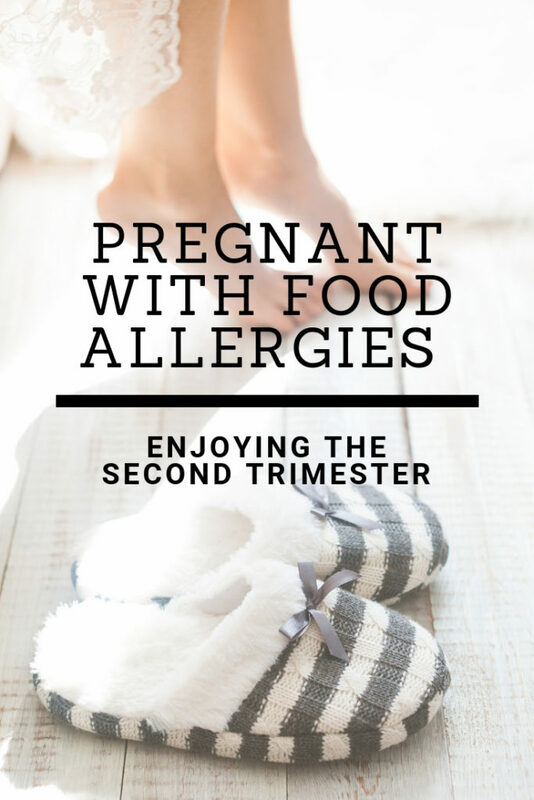 Although the second trimester was the most enjoyable part of my pregnancy, there were still challenges and hurdles that came with it – especially combined with my food allergies. Just like my first-trimester post, here I am sharing a few tips that I would have wanted to hear as I began my second trimester of pregnancy. ** I understand that pregnancy is a very sensitive topic. I am not a doctor, and am not giving medical advice. This post is shared simply based off of my experience of the second trimester of pregnancy. For actual medical questions, please contact your medical provider. Exercise and enjoy your hobbies! If you are anything like me, you spent most of your first trimester in an all-day sickness haze. Hopefully you are feeling much better now and can get outside and enjoy exercise and hobbies. It has been significantly more challenging to exercise in the third trimester with a bigger belly and other third trimester symptoms, so enjoy your exercises and hobbies while you’re still pretty mobile! I also felt that my anxiety (from pregnancy and food allergies) was significantly better as I spent more time exercising. Adapt your menu. Once I got into the second trimester, I was able to eat more of a variety of food compared to the first trimester (I was so happy to not be eating crackers and chicken noodle soup anymore). I tried to add in more veggies and different protein since I was able to stomach these again. Towards the end of the second trimester, I also found out that I was anemic, and my doctor asked me to add in more foods that are rich with iron. With that, I tried to add in more spinach, beans, and beef into my diet. Hopefully with the second trimester, you are able to add more food options and enjoy eating again! Get a prenatal massage. After going through such a difficult first trimester, and struggling with anxiety, my husband suggested that I get a prenatal massage. I ran this past my doctor at one of my appointments to confirm that this was safe for me. My doctor approved, and also shared that he felt the second trimester was the best time to get a prenatal massage. I am so so thankful to Nolan for scheduling and gifting me with a prenatal massage when we were on our babymoon. The massage was incredibly relaxing, and relieved the aches and pains I was feeling. As long as your doctor approves – I highly recommend getting a prenatal massage! Plan and take a babymoon. Looking back, I am so happy that we planned our babymoon towards the end of the second trimester, where I was still feeling pretty good physically. 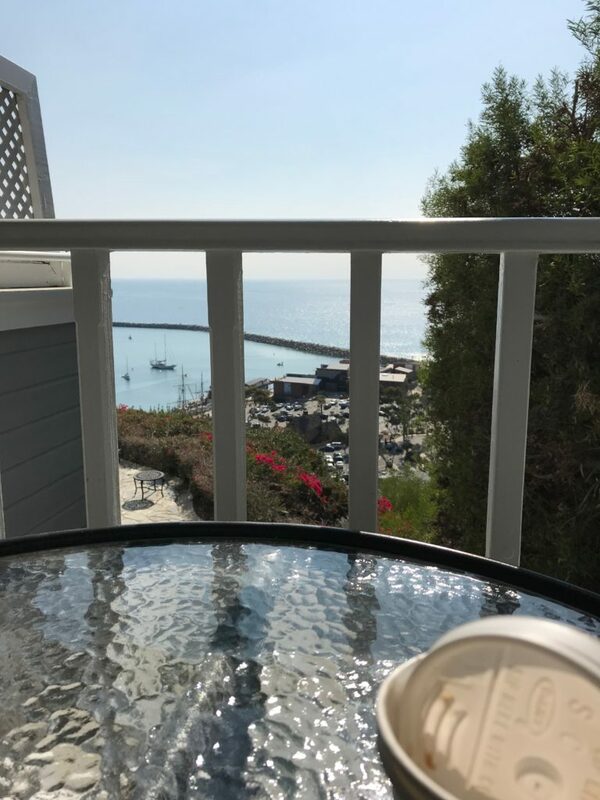 Nolan planned a three-day getaway to the hotel that we stayed the first night of our honeymoon, the beautiful Blue Lantern Inn in Dana Point. He also surprised me with my prenatal massage there as well! It was a wonderful time to get away, connect, and enjoy time together. A babymoon doesn’t have to be super expensive or extravagant, it’s just a time to spend relaxing and enjoying time as a couple before baby gets here. Continue going to the doctor appointments and taking your prenatal vitamin. Of course, keep taking your prenatal vitamin and going to your doctor appointments. I loved going to our anatomy scan during this trimester and getting to see our sweet little boy moving around. The ultrasound definitely made it feel more real! We were able to do a small gender reveal with our immediate families, and had some delicious allergy-friendly cake. For anyone in the Orange County area, we used Creative Cakes for our wedding cake, as well as our gender reveal cake. Do you have any other suggestions for enjoying the second trimester of pregnancy? Leave a comment below!